Chelmsford Carpet Floor and Upholstery Cleaning. Doug Holloway has over 30 years carpet and upholstery cleaning experience. We also clean hard floors. Your 1st Choice for Carpet and Upholstery Cleaning in Chelmsford. Do you want your carpets clean and dry in 60 minutes? We can offer you a really top quality dry carpet cleaning service which is also eco-friendly, using a very green carpet cleaning method. This will leave your carpets looking much fresher and cleaner and they will be dry to walk on in 60 minutes. We are the No. 1 Dry carpet cleaning company in Essex, offering you a very effective dry carpet clean at a competitive price. Established in 1989, we have been dry cleaning carpets for many years in Essex, Kent, London, Suffolk and Herts. Dry cleaning of carpets should not be confused with the dry cleaning method of clothes where hydrocarbon solvents are used. It is much healthier and greener as no dangerous chemicals are used in the clean. Dry carpet cleaning means you can use your carpets immediately after cleaning and there is no risk of shrinkage , split seams, colour run, mildew or any of the other problems sometimes associated with wet carpet cleaning. Sofas, chairs, and other furniture can all be cleaned to a high standard. I have cleaned over 5000 sofas and suites. We have recently carried out extensive office chair cleaning where the clients, who are used to office contract cleaners cleaning the chairs, have been very pleasantly surprised by the quality which we achieve. Doug has over 30 years carpet and upholstery cleaning experience. 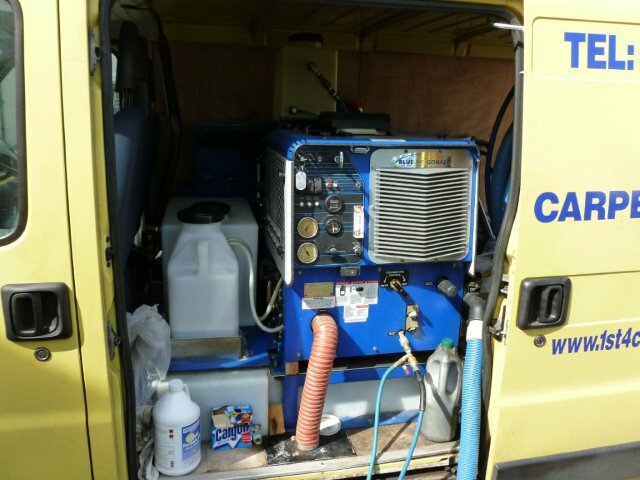 A qualified Industrial Chemist he is a stain removal expert, uses a Truck Mount Cleaning System and offers you the very best carpet and upholstery cleaning.